SANTA MONICA, Calif. (August 6, 2014) – As the days get longer and the nights get warmer, the beachside city of Santa Monica begins to hit its stride. Summer in this oceanfront haven has become synonymous with beautiful weather, outdoor entertainment, beach activities, and world-class alfresco dining, and the summer of 2014 will be no exception – Yet several new additions to the usual summer roundup may make this the best one yet. 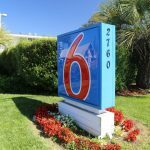 After a million-dollar redesign, the Fairmont Miramar Hotel & Bungalows recently unveiled its brand new Bungalow One, a customized three-bedroom suite designed by L.A.-based interior designer Michael Berman. The fully tailored three-bedroom, three-and-three-quarter-bath retreat includes a 1,000-square-foot private patio with private access to the Miramar gardens and pool, and reflects the sophisticated bungalow-style beach house that is quintessentially Santa Monica. The Georgian Hotel’s famed Veranda will get a new look this summer, while maintaining the glamorous art deco allure that has made it Santa Monica’s epicenter of vintage glamour for the past 80 years. A new color palate, flooring, seating, lighting and accordion glass windows will be completed by the beginning of September, and will cement the Veranda as a perennial destination for both travelers and locals. 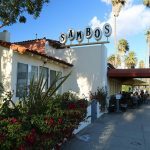 Two new dining additions to the Santa Monica Pier will change the way that the foodies experience this iconic California landmark. The new Ristorante Al Mare will enjoy its inaugural summer as the Pier’s first fresh, authentic Italian eatery. Ristorante Al Mare focuses on creating authentic Italian cuisine, produced from top-quality ingredients and served in a welcoming family atmosphere. The restaurant features a rooftop deck with a full bar, second floor balcony terraces and a private dining room, and first floor exterior decks overlooking the Santa Monica Pier, boardwalk and beach. The newly relaunched The Albright will maintain the same commitment to quality seafood that made it a beloved mainstay on the Pier for 35 years as Santa Monica Pier Seafood, but introduces several enhancements after the family-run business went through a complete overhaul. The rebranded, renamed, The Albright features an entirely revamped interior design, an updated seafood menu and new alcohol options. There is also a new wine and craft beer menu, an expanded kids menu and a strengthened commitment to purchasing and serving locally sourced ingredients. Even the patio has been revamped to maximize its incredible views overlooking the pier and beach. Santa Monica’s new fast-casual concept, CiBOTECA, brings an authentic taste of Italy to Santa Monica. The gourmet Italian marketplace has a menu inspired by executive chef and Italian native Bobo Ivan, who fuses modern updates to classic dishes from his homeland with Californias love of seasonality. The gourmet delicatessen will take guests on a journey through a selection of gastronomia, from Panini to insalate, seasonal sides and take-away creations, pastries to European style coffee. Terrazza, the new seaside dining lounge from designer Michael S. Smith and chef Sven Mede, recently opened inside the iconic Hotel Casa del Mar. This all-new café and lounge features two-story high, floor-to-ceiling windows and offers guests the opportunity to drink and dine while enjoying Terrazzas prime location along the Santa Monica coast. For Terrazzas menu, Mede takes an Italy-meets-California approach, offering house made pastas and thin-crust pizzas alongside Santa Monica Farmers Market inspired small plates and salads, fresh daily seafood dishes and more. Launched July 15, the new low-cost FlyAway® buses will begin providing direct service to and from each of the LAX terminals. The new FlyAway® service at Santa Monica will be non-stop to LAX, picking up passengers on the east side of Main Street north of Pico Boulevard at the Santa Monica Civic Auditorium. One-way fares for the Santa Monica FlyAway® bus route will be $8. 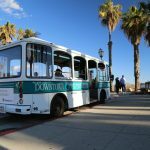 The new Santa Monica Shuttle is a free hotel-sponsored service that transports riders to and from the Santa Monica Pier, Downtown Santa Monica, Main Street and Montana Avenue. 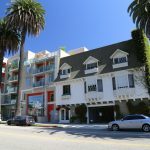 This environmentally friendly shuttle service consists of GM electric vehicles wrapped in Santa Monica destination branding and area information with on demand service at Shutters on the Beach Hotel, DoubleTree Santa Monica Suites and Loews Santa Monica Beach Hotel. 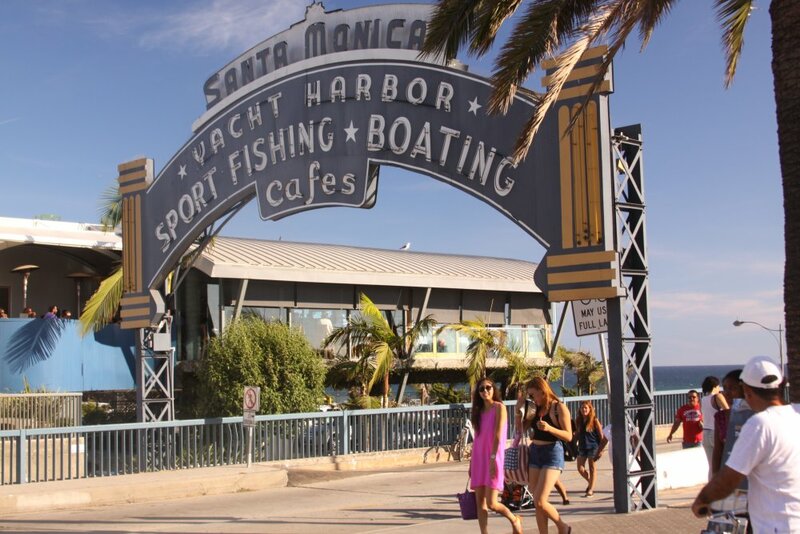 Available through a partnership between Santa Monica Convention and Visitors Bureau and Santa Monica Free Ride, the complimentary service allows both locals and visitors to go car-free while exploring Santa Monica. Construction is underway for the new Expo Line, the first mass transit line to connect Downtown Los Angeles and Santa Monica. The Exposition Light Rail Project is a 15-mile light rail line and will be the first extension of the Metro rail to the Westside. The project is expected to be completed in late 2015 and soon after will offer locals and visitors the ability to travel to Downtown Los Angeles in under 50 minutes  even during rush hour. Its completion will represent a significant long-term public investment in citywide transit, regional mobility and sustainability. Santa Monica’s Bike Center, the largest of its kind in the country, has offered visitors and locals the opportunity to embrace the eco-friendly lifestyle of this beachside community with bike rental options, repair services, valet bike parking and travel information since its inception in 2011. 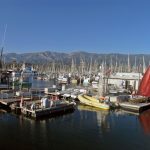 This summer, the Santa Monica Bike Center rolls out three exciting guided bike tours to explore Santa Monica with a knowledgeable tour guide. Explore the history and stories behind Venice Beachs murals and public art walls with the Street Art Tour, take a tasty ride of the areas most delicious sweet shops with the Sweet Spots Tour, or discover the urban farming movement that is spreading across the nation with the Urban Farming Tour. Santa Monica’s favorite summer tradition and premier outdoor concert series will return to the Santa Monica Pier on July 11 for its 30th year. The annual Twilight Concert Series is a free public event that features a different band each Thursday night for 10 consecutive summer weeks. The impressively diverse line up allows concertgoers to enjoy a wide range of musical genres from a picnic on the beach amidst the stunning backdrop of the Pacific Ocean. 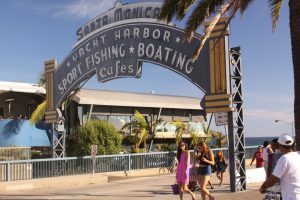 Santa Monica Convention & Visitors Bureau (SMCVB) is a non-profit organization designed to increase visitor expenditures, tourism revenues and local employment opportunities through the promotion of Santa Monica as a travel destination. For travel and accommodation information or a free copy of the Official Visitors Guide, the public can write to the Santa Monica Visitor Center, 2427 Main Street, Santa Monica, CA 90405; call or (310) 319-6263; visit www.santamonica.com; or email info@santamonica.com. Follow SMCVB on Twitter @GoSantaMonica or become a Facebook fan at www.facebook.com/visitsantamonica.